Please click here to download/open details about the subscription rate for the current season. All members are encouraged to subscribe to the Gift Aid scheme where possible. If you are a taxpayer of some description then you will likely be eligible. Remember that tax is paid on pensions, investments and capital gains, and also on a proportion of savings and dividends - not just on salaries. See the Gift Aid page for further details and also from where you can download the Gift Aid Declaration form. Please see this page for details of other choral-related events that may be of interest to you and this other page that focuses on a few particular items. ChoraLine is a company that specialises in supplying useful equipment to choirs and rehearsal aids to choral singers to help them learn the music they are practising for their next event/concert. It has been in existence for many years and has established an excellent reputation. Examples of items in stock include voice part rehearsal CDs (for over 120 choral works), vocal scores, warm-up exercises, folders, pencils, bags and music-themed gifts. To visit their website, click here or go to www.choraline.com in your web browser. As we are registered with ChoraLine, both the choir and its individual members can benefit from a 10% discount on all purchases online. Just use the code 'WCS' where it asks for the Discount Code on the shopping basket check-out page. Choraline is now also available as an app for use on your smartphone or tablets. 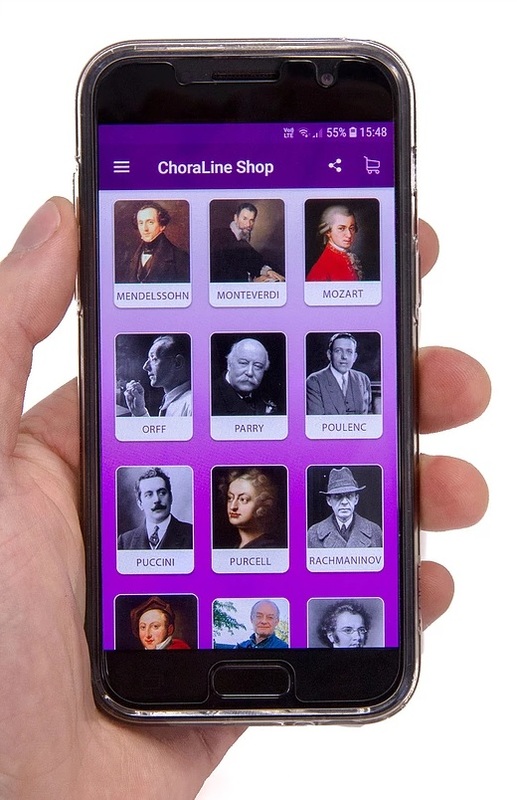 It is available for both Apple and Android platforms and more details can be found at their www.choralineapp.com website. There are some Rehearsal Aids made available to help you with your learning and/or understanding of some of the works that we perform. You can find those by clicking on this link. Black long or three-quarter sleeved blouse or top, plain long black skirt (matt material) or plain long black trousers, black shoes, black tights, small black bag (optional) and no conspicuous jewellery. Dinner suit or plain very dark suit, white shirt, black bow tie, black shoes. Variations on this may be made at the discretion of the Executive team depending on the concert/event. Once every three years or so the Music Director likes to hear each member individually to gain a greater understanding of the individual capabilities within the choir. The process is designed primarily as a re-balancing exercise where one voice part, over the three years, may have become disproportionately larger than another. Voice tests will be with Neil Ferris and Michael Higgins. Each member is asked to bring something to sing, whether it be a folk song, concert aria, art song, song from a musical, etc. Please don’t be offended if you are stopped part way through your piece and don’t be surprised if you are asked to sing a bit again with a few tips from Neil and/or Michael. You will also be asked to sing a few vocal exercises; again, don’t be surprised if you are asked to do things in a particular way, as we are simply trying to see what your voice does and to help you get the best out of it. Occasionally there are small solo roles to be given out in our programme. Please let Neil and Michael know if you are interested in this. Also, Neil keeps a list of suitable voices for semi chorus sections that come up from time to time. Please let Neil and Michael know if you are interested in this too. The outcome of the voice test is one of three categories: (i) pass, (ii) change of voice part or (iii) re-test after one year. This final category will be used sparingly. If people are asked for a re-test after one year they will be given specific feedback as to what they need to work on. 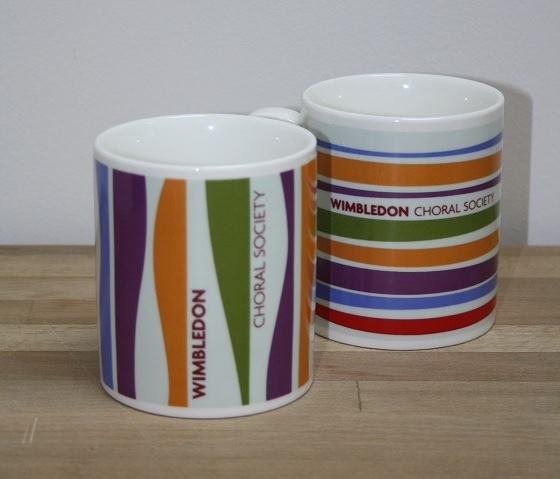 A reminder that we have WCS mugs available for sale at £7.50 each. These would make excellent momentos or Christmas presents. There are two styles available - one vertical, the other horizontal as shown in these images. If you would like to buy any of these, then please see Brigid on a rehearsal evening. 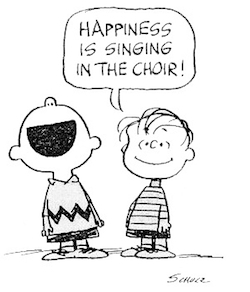 Queries from outside of the choir also welcome! Please specify whether you prefer the vertical or horizontal design. Thanks. 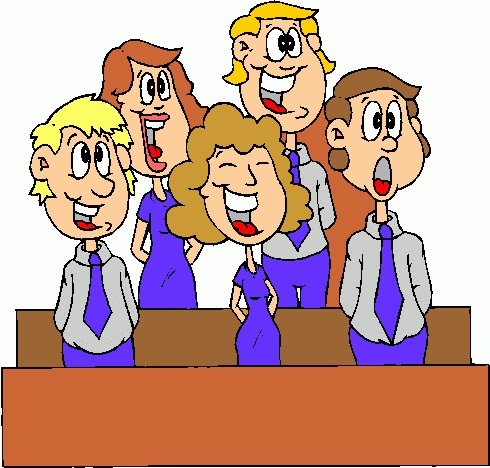 For young singers, the world of the adult choir can be a little daunting especially when several other groups of people within the choir are singing notes that do not seem to tally at all with those written on the top line that the younger singer has always sung. To aid them in their transition to singing in a full SATB chorus, the Young Person's Guide to the SATB Choir, an explanation of the four different voice parts, has been made available for downloading. Just click here or on the image on the right to obtain a copy. C, E-flat, and G go into a bar. The bartender says, "Sorry, but we don't serve minors." 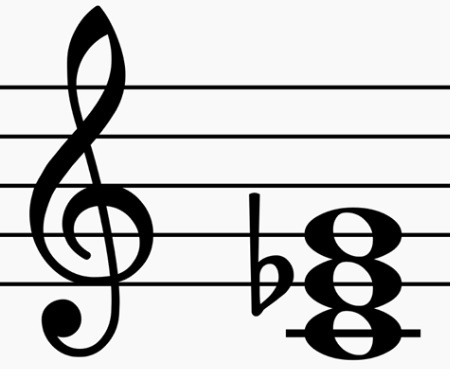 So E-flat leaves, and C and G have an open fifth between them. After a few drinks, the fifth is diminished, and G is out flat. F comes in and tries to augment the situation, but is not sharp enough. D comes in and heads for the bathroom, saying, "Excuse me; I'll just be a second." Then A comes in, but the bartender is not convinced that this relative of C is not a minor. Then the bartender notices B-flat hiding at the end of the bar and says, "Get out! You're the seventh minor I've found in this bar tonight." E-flat comes back the next night in a three-piece suit with nicely shined shoes. The bartender says, "You're looking sharp tonight. Come on in, this could be a major development." Sure enough, E-flat soon takes off his suit and everything else, and is au natural. Eventually C sobers up and realizes in horror that he's under a rest. C is brought to trial, found guilty of contributing to the diminution of a minor, and is sentenced to 10 years of D.S. without Coda at an upscale correctional facility. Founded in 1903, the Wimbledon Society is committed to protecting all those local amenities that contribute to the quality of life of the residents living in or having access to the area. It issues a regular newsletter keeping its members informed of what has been happening in and around Wimbledon. The March 2015 newsletter includes an article about the choir's history and centenary. Click here to open the relevant article. 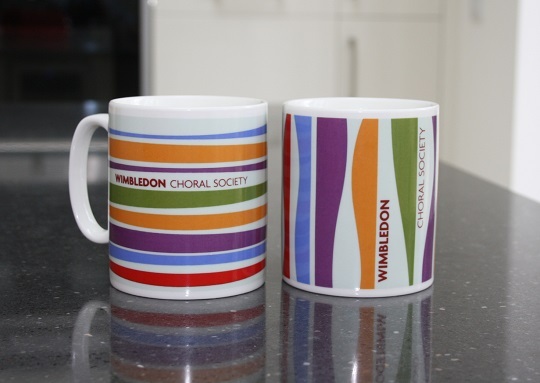 Further information on the Wimbledon Society can be found on their website.